Your watercolor winter scenes are always so pretty and peaceful, Birgit! Another beauty! 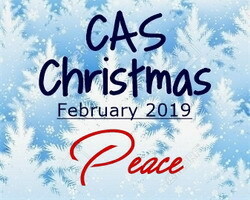 Thanks so much for sharing with us at CAS Christmas! Stunning scene, Birgit - truly conveys peace!! Just love your coloring! !